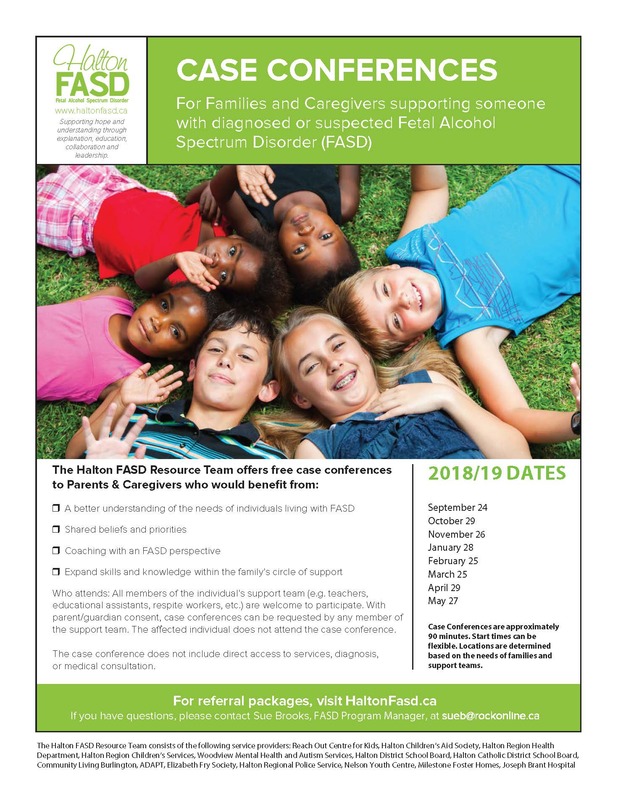 Provide Halton Professionals and Parents/Caregivers Training and Education to develop their knowledge, skill and competence regarding FASD and how best to support individuals living with FASD in our community. Offer Case Conferences to individuals who provide services and support to children, youth and adults (birth to 25) affected by FASD in our community. 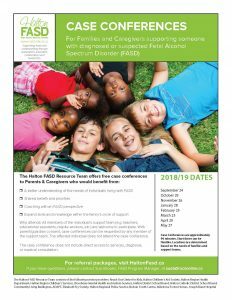 Case Conferences may assist with; a better understanding of the needs of individual living with FASD, shared beliefs and priorities, coaching with a FASD perspective and expand skills and knowledge within the family’s circle.